You have a great product or service, you even have some great contacts who refer you. But we cannot rely on those things to bring in the right amount of business. So you have to do some “selling” at some point. 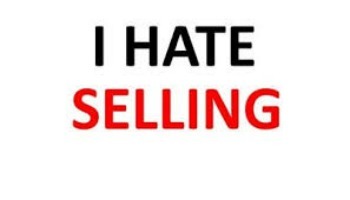 Don’t you just hate selling? You hate being sold to and the prospect of having to sell to strangers in return is almost enough to make you doubt the point of the exercise. Does that look at least a little familiar? You are not alone. We’ve invited Sales expert Paul Glyn to host a Lunch and Learn looking at ‘selling’ and new ways of looking at acquiring revenue. Paul Glynn is Director of Sandler West M25 region. Paul’s experience spans over twenty years of selling, sales management and training. 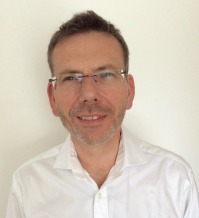 He has worked in the financial services sector including accountancy and has been responsible for the commercial success of sales departments at director level in advertising with Newsquest, Moneyfacts and Financial Times Group. Paul is dedicated to assisting business people reach their potential. Sandler Training is a world leader in innovative sales and sales management training. For more than 40 years, Sandler has taught its distinctive, non-traditional “selling” system which has helped business people take charge of the process in more than 20 nations. If you haven’t come to MyWorkSpot before and don’t yet have a NearDesk card (to gain access to the facility), then we are very happy to offer you access to this event. Please RSVP and we can register you when you arrive.